We have put together some suggested day trips, so treat Havelock Holiday Park as your travel hub and explore the region while staying with us. If you discover something new while you are here, please let us know so that we can spread the word. One of the most popular reasons for coming to Havelock is to experience the Pelorus Mail Boat. It’s a day trip in its own right, heading out at 10:00am and returning around 4:00-4:30pm 7 days a week, so this is the trip to plan all your other activities around. We can book it for you and advise of any discounts that might be available at the time, so check with us first. Please Note that Jim’s new Mail Boat is now in action and all his customers are raving about it. What was a great trip has now become a fantastic trip and in our opinion is a “must do”. 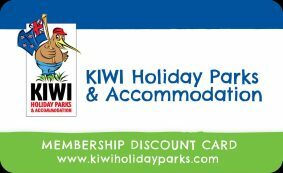 Remember that you can get a 10% Discount if you become a Kiwi Park VIP. Most people think of Abel Tasman or Kaikoura when kayaking is mentioned. On our doorstep is a small but very busy kayak company that provides some cool options for those wanting a less passive experience on the water. The best time to be on the water in a kayak is in the morning so on your way back to Havelock, I’d suggest stopping off at Cullen Point for a short walk. Guided Kayak trip in Queen Charlotte Sound. You might prefer to kayak by yourself or a combination Kayak/Hike, Kayak/Bike or just a Mountain Bike hire. Whatever you wish can be organised through a local company that is known for its’ expertise and quality equipment. They are sometimes able to pick up from our Reception for a small charge. Cullen Point – admire the excellent views of the Pelorus Sounds and Havelock from the car park if you are short of time. If you have up to an hour to spare then you must walk the Cullen Point Loop Track to experience the views that make this one of the nicest short walks around. It’s well worth the effort. Hint: The Cullen Point Trig track is what most people walk as it’s short. Whilst it gives you a great cardio workout it’s views are very disappointing. The Loop Track is by far the better of the two. Some people are not interested in a full day on the water, so this suggestion combines a bit of boat time and some time on land checking out the township. Start your morning off with breakfast at the Captains Daughter or coffee at A Taste of Charlotte and follow it up with visits to the Museum and the Art Gallery. Havelock Museum – a collection of pioneer stories told through photos, collections and implements. Havelock Art Gallery – visitors are always amazed at the local talent in Havelock. Passionate volunteers are always happy to guide visitors through the artworks on display and for sale. The Waterfall walking track – (approx: 1 hr return) winds uphill through a gully of native bush until it reaches a picturesque waterfall. Intrepid adventurers can clamber up to the top of the hill for amazing views but the path for this part of the adventure is unformed and a very good workout. The Motuweka Pathway – (approx:45 min return) walk through the historic Havelock Cemetery and then along the South Mole out to the entrance of the Havelock Marina. It’s a popular walk as it is flat and a good opportunity to view the varied bird life that lives in or visits the Kaituna Estuary. Then take one of these boat trips in the afternoon. You’ll need to book beforehand so check with us the day before for prices and availability. Pelorus Eco Adventures – inflatable Kayak trips down the Pelorus River. No experience necessary. Visit some of the film locations for the Hobbit Movie. Please Note that if you are staying with us, then ask us about what discounts we can get you on this trip. If you still have some energy, then after dinner, try this short walk. At night, a short 10 minute walk up the Waterfall track will bring you to a wall of Glow Worms. A great walk after dinner but take a torch and wear shoes with a decent tread. 2017 is the first time that there will be Whale Watching Tours being offered out of the Marlborough Sounds. Humpback Whales, Blue Whales and Southern Right Whales have been migrating through the Cook Strait for millions of years following this traditional route to their summer feeding grounds. This is the only place in New Zealand were it is possible to be so close to shore and see the migrating giant baleen whales, maybe you will see the largest creature on the planet, the Blue Whale. During this 4-5 hr tour you will be taken to see the only restored whale station in New Zealand where you can see the professional audio/ visual presentation in the restored recreation room. This room also now has actual family photos and also DOC information panels showing how life was for the workers, families and whales from 1920-1964. Then you will head out with a small exclusive 14 passenger Whale Watching boat with your own set of binoculars and Whale ID card to find a whale . The boat will be guided from shore by our whale spotters whom will locate and direct your boat to a whale just as it was done for over 150 years. Check with us for more details of this exciting trip. It is only for 10 weeks a year so it is very special. French Pass is a narrow and potentially treacherous stretch of water between d’Urville Island and part of the northern end of the South Island. With a large body of water on either side of the pass, the tidal changes are worth witnessing. The water can race through at up to eight knots resulting in strong eddies, currents and whirlpools making it a dangerous stretch of water during tidal changes. Tourists and locals assure me that you can hear the water moving when this occurs. It takes two hours to drive to French Pass from Havelock Holiday Park. It pays to check the tide charts beforehand so that you can arrive at the right time of day to witness this phenomenon. Depending on the tides, you will have time to visit Okiwi and Elaine Bays on the way there or back. Most visitors to Nelson make sure they fit in a visit to the incredible wearable art displays at the WOW Museum. If it gets too much for the guys then part of the complex is filled with classic and vintage cars. Both parts of the museum are worth visiting by both sexes. Leaving St Arnaud, continue along SH63 until you reach Renwick then it is left onto SH6 and head back to Havelock. A popular day trip is taking the 45 minute drive to Picton. There are several routes, all with very different scenery. Some are well known but hopefully the following will give you some new ideas. if you do not have the time or cannot handle walks with medium to steep slopes, then walk to each end of the carpark to get a sample of the views available. Stop at the artists galleries as you come down the other side of the hill. It is well sign posted so you will have no problems finding them. Return to Havelock by heading on SH1 towards Blenheim and turning right into Rapaura Rd when you come into Spring Creek. Turn left onto SH1 when you get to the end of Rapaura Rd and then right into Hunter Rd when you get to Tuamarina. Hunter Rd becomes Pembers Rd and then it becomes Rarangi Rd. Stay on Rarangi Rd until it reaches the beach and follow it to the left where it becomes Rarangi Beach Rd. Follow the road to the end of the beach where it runs into Port Underwood Rd. and numerous others until you reach Picton. EcoWorld Aquarium – see the local sea life in Picton including many different fish species from the Marlborough Sounds, Little Blue Penguins, Seahorses, Tuatara, Giant Weta, Lizards, Turtles and Kakariki. Make sure you get there for the tours @ 11am and 2pm. Edwin Fox Fox Maritime Museum – Built in Calcutta in 1853, apparently these remains are from the 9th oldest ship in existence. The decision was made to preserve, rather than restore this interesting wreck. Well worth a visit, your admission fee includes a tour of the ship. Diving and Snorkeling in the Sounds. There are several wrecks and reserves that provide lovely opportunities for divers of all experiences. Ride the miniature train or sail a miniature yacht. Sundays 10am to 4pm. Only 20c a go, so it’s great for the kids. various walks in and around Picton ranging from 10 minutes to 3 hours. More trips to come ……. We are only fifteen minutes from the majority of the wineries in Marlborough. You have a few ways of checking out the wineries and their wares. 1/ Drive yourself. This gives you the freedom of going exactly where you want to go. However, if you do not have the luxury of a designated driver, you will be limited to the number of wineries that you can visit and carry out tastings. Please be very aware of our lowered Drink Drive Limit which has made it very difficult to work out what you are allowed. My guess is that two wineries would bring you dangerously close to the legal limit. 2/ Bike Hire. You can explore the local wineries at your own pace on a bicycle – if you have not brought your own bike, there are several bike hire companies that we can put you in touch with. Armed with a wine map, tons of advice and a well-equipped bike you can head out to the nearby wineries. With the extra time that it takes between wineries and the energy required turning the pedals, I have never seen anyone return feeling tipsy. It does pay to be cautious though and the responsibility is always yours. 3/ Another, safer option is to take an Organised Wine Tour. You often have input as to where you would like to go but the tours have to try and please everyone, so your guide will always have the last say. Several Blenheim based wine tours will pick up from Havelock but have to charge an extra surcharge as Havelock is outside their normal routes. The big advantage is that they will pick you up and drop you off afterwards so you do not have to drive anywhere. If it’s walking that cranks your handle, then there are a whole host of walks short and long. The Link Pathway – this section of the walking/cycling track is 3 km long starting at the Havelock Causeway and terminating at Cullen Point. At Cullen Point there is a loop track where you are rewarded by fantastic views down the Pelorus Sound and back towards Havelock. Eventually this track will extend all the way to Picton. Cullen Point – admire the excellent views of the Pelorus Sounds and Havelock from the car park if you are short of time. If you have up to an hour to spare then you must walk the Cullen Point Loop Track or the Cullen Point Trig to experience all the views on offer. It’s well worth the effort. Walk part of the Queen Charlotte Sound. There are plenty of options. You can catch a boat from Anakiwa and get dropped off at one point and then walk back to your car or van at your leisure. This is such great value that it often books out really fast, so ask us for details and we’ll get you booked in. There are maps in the I-Sites and you can find brochures on line. Nydia Track – the best way to get there and back is by using the Pelorus Water Taxi. They have just introduced a new pickup and drop off service that is proving to be very popular. Another option is to drive into Duncan Bay (1.5 hrs each way) and walk the last half of the Nydia Track. It is a picturesque drive but narrow and at times a bit steep which is why it takes so long to get there. Wither Hills Farm Park – walking and mountain bike tracks in Blenheim, plus a dedicated mountain bike park for all levels. There is a very good map available from the Marlborough Council that we are trying to get hold of for those people interested. The Snout Track in Picton is the longest walk near the township (approx. 90 mins each way from the carpark.) It takes you out to the end of the peninsula between Waikawa Bay and the Picton Harbour. There are a few more tracks in the area so you either tackle those or explore Picton before returning to Havelock. If mountain biking is your thing, then here are a selection of rides for all levels of expertise that will get the juices flowing. Bike part of the Queen Charlotte Sound. If you have your own bike, you choose the section you want to try – unfortunately it’ll mean retracing your route to get back to your car OR you can hire a Mountain Bike and ride the nearest part of the track. It’s also possible to do a kayak/ride combination if you wish so that you kayak one way and then ride back. The Link Pathway – this section of the walking/cycling track is 3 km long starting at the Havelock Causeway and terminating at Cullen Point. At Cullen Point there is a loop track where you are rewarded by fantastic views down the Pelorus Sound and back towards Havelock. Nydia Track – the best way to do this is by using the Pelorus Water Taxi to drop you at Nydia Bay and then pick you up from Shag Point or vice versa. Marlborough is lucky to house a diverse group of painters, potters, sculptors, ceramic and glass artists that open their galleries and studios to visitors. While you soak up this picturesque region, why not spend the day visiting these talented people and share their interpretations of the region they live in. Artists of Marlborough have produced a booklet showcasing their creations along with a map to help you find them. Check them out online and pickup the booklet from our reception. Don’t forget to check out our very own Art Gallery in Havelock before you head out. Although small, it is packed with creations from our extremely talented locals. It should be on your “must see” list.